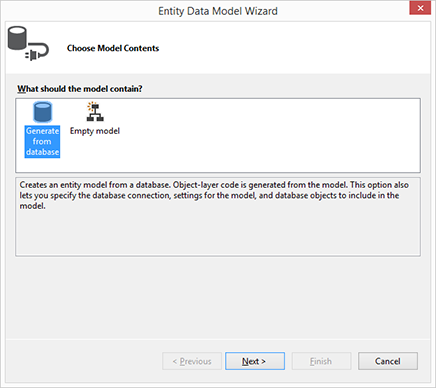 This article shows how to use the Entity Framework - Microsoft's recommended data access technology for new applications. 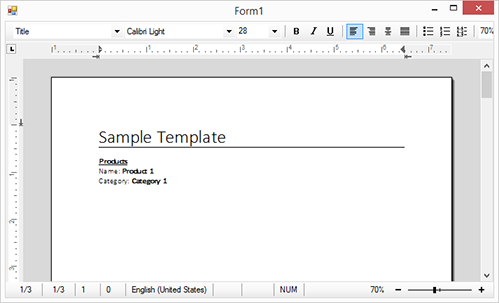 For demo purposes, this article describes how to create a simple Windows Forms application using TX Text Control .NET for Windows Forms and the MailMerge component. The MailMerge component is available in all .NET based TX Text Control products and can be used in ASP.NET, WPF and Windows Forms. 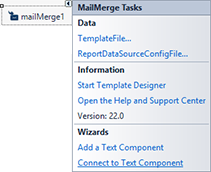 MailMerge can be directly used with data objects generated by the Entity Framework using the MergeObjects method. Visual Studio 2012 or better is required to complete this tutorial. Open Visual Studio and select New -> Project from the File main menu. Choose Windows in the left hand Template tree view and Windows Forms Application as the project template. 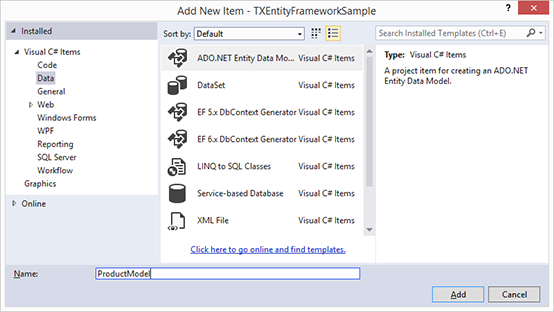 Enter TXEntityFrameworkSample as the name and confirm with OK. Confirm with Install and follow the installation instructions. Hide the dialog by clicking Close. Double-click Form1.cs in the Solution Explorer to open the form's designer. Find the TX Text Control 22.0 toolbox tab that has been created automatically. All usable TX Text Control controls or components are listed in this tab. Choose the TextControl icon and draw it on the form. Now, click on the Smart Tag in the upper right corner of TextControl. In the Wizards group, click on Add a Button Bar, Add a Status Bar, Add a Ruler Bar and Add a Vertical Ruler. Finally, click on Arrange Controls Automatically. The controls are now connected and docked to fill the container. Find the MailMerge component in the Toolbox and drag and drop an instance onto the form. Click on the Smart Tag and choose Connect to Text Component. For this tutorial, we will create a new database for demo purposes. The EF designer will reverse engineer your model from this database. Choose Server Explorer from the View main menu. Right click on Data Connections -> Add Connection… to open the Add Connection dialog. Confirm with OK. You will be asked, if you want to create a new database. Confirm with Yes. 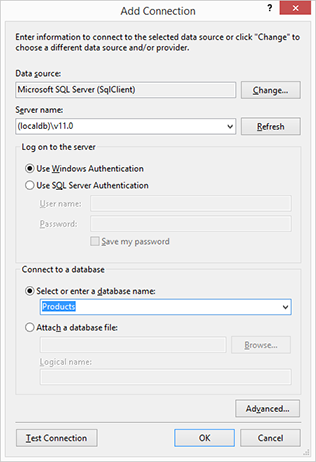 The newly created database will appear in Server Explorer. Right-click on it and select New Query. Copy the following SQL into the query, then right-click on the query and select Execute. Select Add New Item... from the Project main menu. 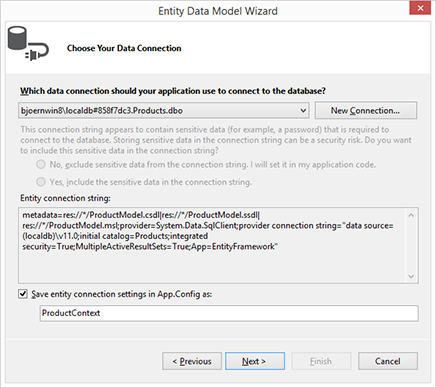 Select Data from the left menu and ADO.NET Entity Data Model as the template. Enter ProductModel as the name and confirm with OK. 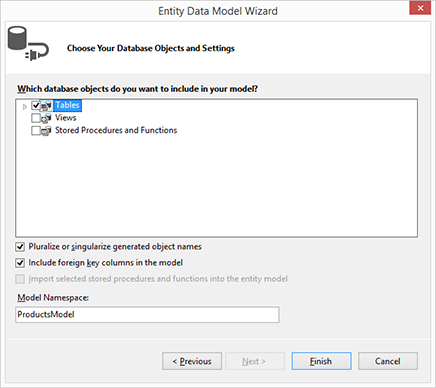 In the opened dialog Entity Data Model Wizard, select Generate from Database and click Next. Select the connection to the created database, enter ProductContext as the name of the connection string and click Next. Check the checkbox next to Tables to import all tables and confirm with Finish. Download the sample template template.tx. 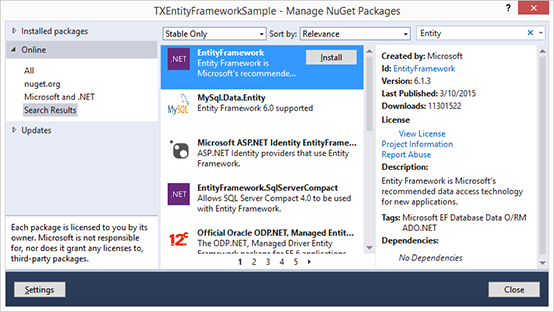 Select TXEntityFrameworkSample in the Solution Explorer and choose Add Existing Item... from the Project main menu. Browse for the downloaded template.tx file, select it and confirm with Add. Select the newly added file template.tx in the Solution Explorer and set the Copy to Output Directory property to Copy always. Compile and start the application. TX Text Control's reporting engine MailMerge is using the template that is loaded into the connected TextControl instance in order to merge it with data from the generated DbSet object.